I came late to the Maine camp tradition. When I was a kid, my family would sometimes spend a summer week on Frye Island in Sebago Lake or Long Lake in Naples. We liked these areas enough to make repeat visits — heck, my brother and I never wanted to leave! — but we rarely returned to the same rental, my parents always preferring to experience something new. 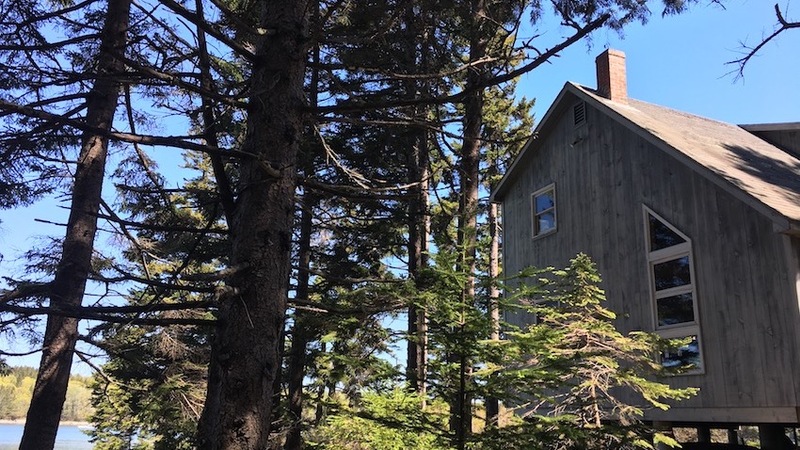 Mark’s family took a different approach, putting down roots on a pink-granite-edged plot in Deer Isle that now seem as inextricable as the weather-beaten spruce trees that cover the land. They started out tenting on the property in the early ’80s, then built a tiny bunkhouse with no plumbing, and later a larger camp with unfinished shiplap walls, a woodstove, and brackish water running through the taps. Mark’s dad, Dave, who has passed away, loved this spot more than any other on Earth, and that feeling has filtered down through two subsequent generations. 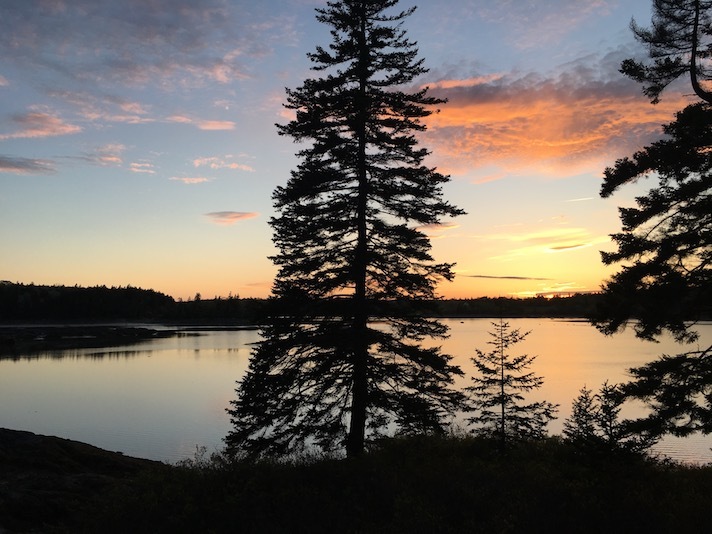 When Mark first started bringing me to the camp we call “Deer Isle,” I wondered if I would tire of it. 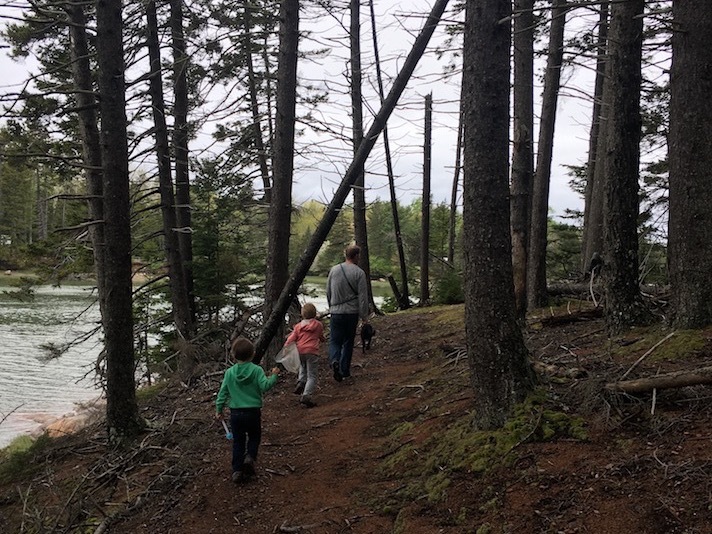 With an abundance of places to explore in Maine — many of them hours closer to our home — why would we commit ourselves to the same remote spot on summer weekends? Now, of course, I understand that what compels people to a camp isn’t always rational as much as gravitational. When we’re away from Deer Isle, we feel it pulling us back. The fact that we can picture every spruce-spiked island in the cove and animal likeness we’ve found in the knots on the master bedroom’s ceiling only intensifies the impulse. And watching the sun slip behind the blackened evergreens from the screened porch, where he also liked to hunker down with the Boston Globe. We continued these traditions, except the canoe ride (too chilly! ), this past Memorial Day Weekend. And we’ll repeat them many more times this summer. When a place is not merely a vacation spot, but the sum total of loved ones who have spent time there, it never gets old. 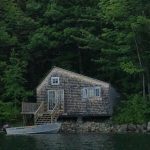 Do you love a Maine camp? I’d like to hear about it — please share your stories below! We have a “camp” on Toddy Pond in Orland that started out as a summer only 30+ years ago & eventually turned into a year round home for my parents ! 3 years ago my 32 year old daughter got her dream wedding there! She had since she was 3 or 4 talked & planned for a wedding there & even though she & her groom live is Savannah GA. The groom agreed after visiting a few times!! So many memories there that now go back 4 generations! My daughters still call it “camp” even though it could be featured in your magazine! Hi Jacqueline — Toddy Pond is magical! My mother-in-law lives near there and we love it. Enjoy the summer with your family and thank you so much for sharing. 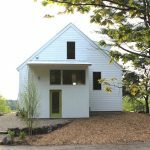 Oh, and if you think your parents’ home should perhaps be featured in Down East, you can share photos here: https://mainehomes.com/nominateyourhome/. I’d love to see it!